Simon Says Stamp – Reason to Smile Release! I am so excited about the new Reason To Smile collection from Simon Says Stamp. Did you check it out? LOVE the plush dies, the embossing powders and the felt. And Suzy’s watercolour prints are awesome. Not to mention the stamp sets and coordinating dies. I want it all like yesterday 🙂 Haha! That is not going to happen. However I do have one of the cutest background stamp from the collection. Yay! Thank you Heidi for sending me this cutest background stamp. I LOVE it This background stamp is called Peeps! 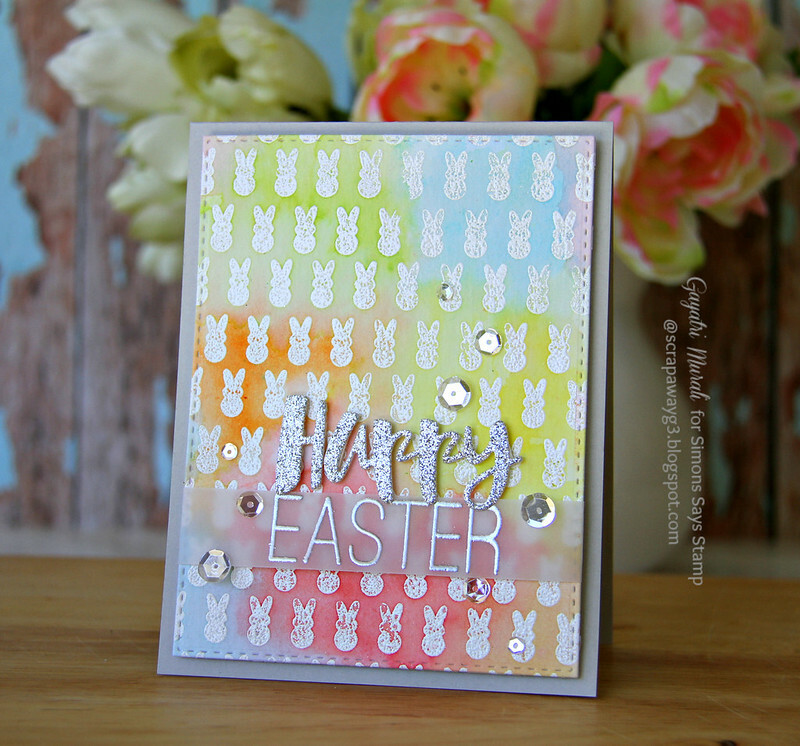 Today I am sharing an Easter card with you using this new background stamp. I coloured the background with distress inks, diluting it to get pastel colours. The panel is then die cut using the largest of the Stitched Rectangle Die. The “Happy” die cut is from Painted Happy Birthday die also from Simon Says Stamp. 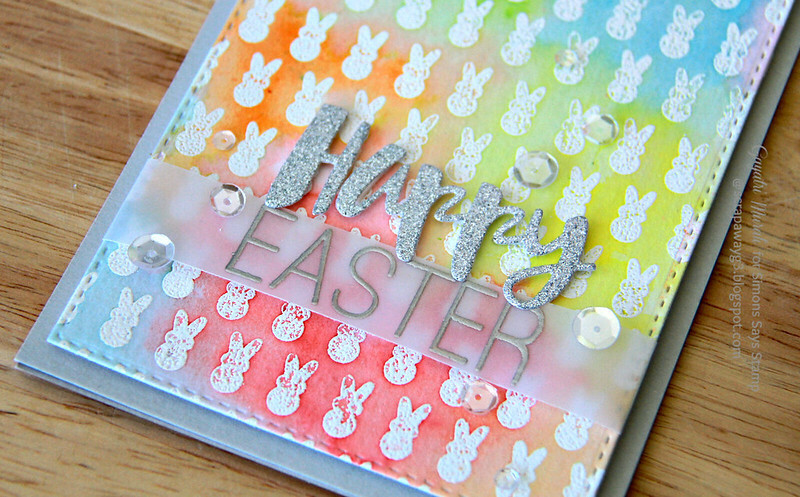 The “Easter” sentiment from Essential Greetings is silver heat embossed on a vellum strip and wrapped around the panel. I adhered this panel on Fog card base and embellished with Pretty Pink Posh 10mm, 6mm and 4mm Sparkly Clear sequins. Hope you like my card using Peeps background stamp from Reason To Smile Collection. They are available for purchase at Simon Says Stamp Store.